The Medium Tactical Vehicle Replacement (MTVR) family of all-terrain cargo trucks are in service with the US Navy and US Marine Corps. US Navy photo by Mass Communication Specialist 1st Class Ryan G. Wilber. An up-armoured Medium Tactical Vehicle Replacement (MTVR) of NMCB-7 deployed in Afghanistan. US Navy photo by Mass Communication Specialist 2nd Class Michael B. Lavender. The MTVR cargo/personnel transport vehicle can run on tough terrains. US Navy photo by Photographer's Mate Airman Lamel J. Hinton. The Medium Tactical Vehicle Replacement can ford a depth of 1.5m. US Navy photo by Chief Photographer's Mate Chris Desmond. 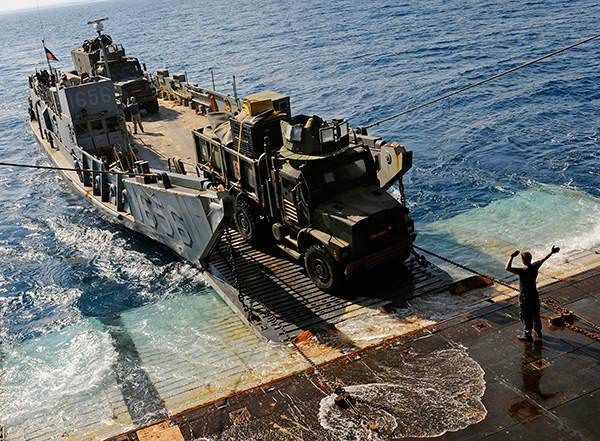 A medium tactical vehicle replacement rolls-off from Landing Craft Utility (LCU) during Bright Star 2009. US Navy photo by Mass Communication Specialist 2nd Class Kristopher Wilson. 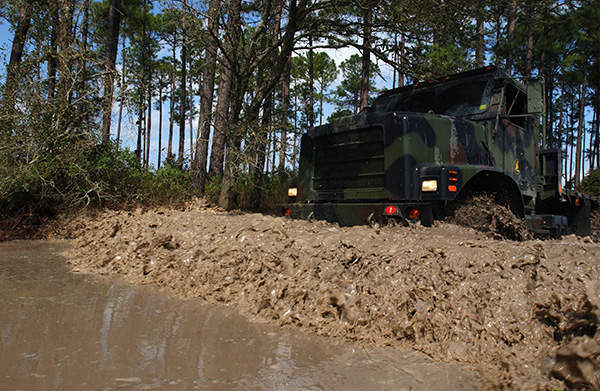 The Medium Tactical Vehicle Replacement (MTVR) is a family of all-terrain cargo trucks manufactured by Oshkosh for the US Navy and US Marine Corps. 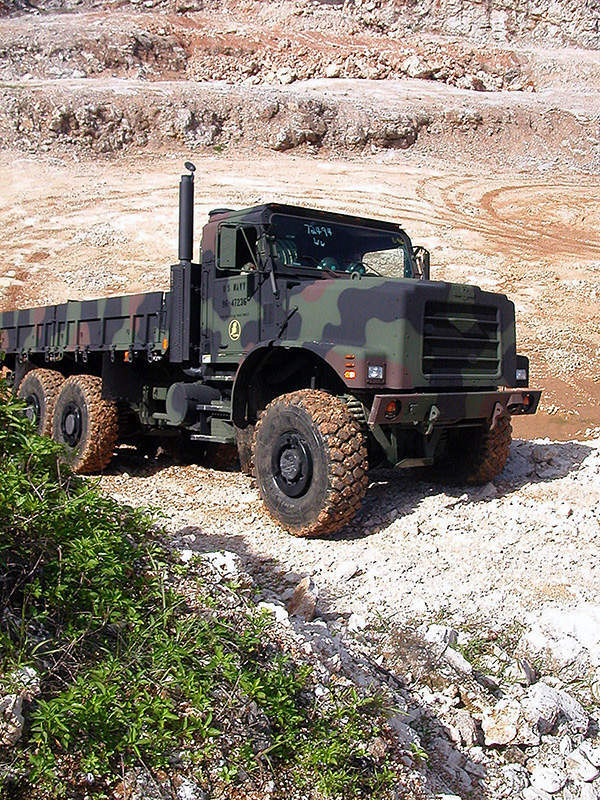 The MTVR was initially ordered to replace the existing medium truck fleet under the US Marine Corps programme. 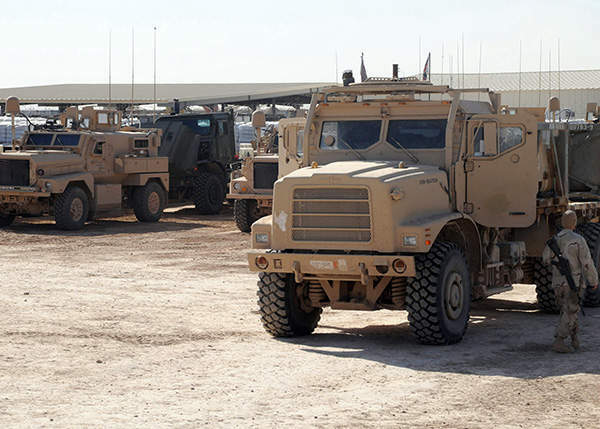 The MTVR vehicles were extensively deployed in Iraq and Afghanistan. 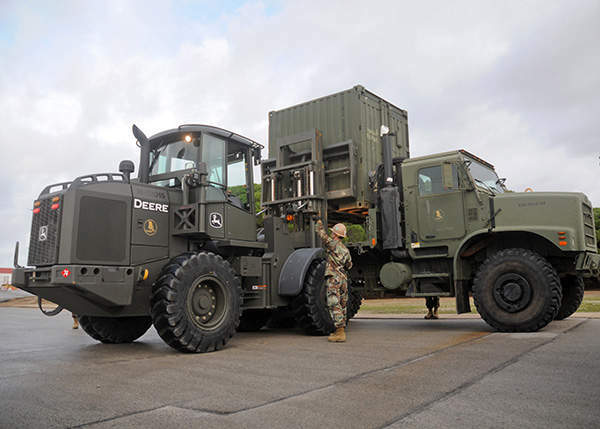 The Oshkosh vehicle can transport troops, fuel, water, food and supplies. The vehicle will also be used to tow the M777 lightweight 155mm howitzer. 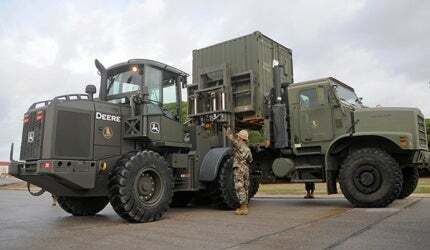 More than 11,000 MTVRs have been delivered to the Marines and the Navy Seabees to date. "More than 11,000 MTVRs have been delivered to the Marines and the Navy Seabees to date." In December 1998, Oshkosh was awarded the production contract for the initial four MTVR cargo variants. In March 2005, Oshkosh received a $23.9m contract from the US Navy to deliver 92 military tractor-trailers based on the MTVR chassis. In October 2008, the US Marine Corps Systems Command (MARCORSYSCOM) placed a $46m modification contract to deliver over 170 additional MTVRs for the US Navy Seabees. In April 2010, Oshkosh was awarded a $44m contract by the MARCORSYSCOM to deliver more than 5,750 upgrade kits for the MTVR fleet of the US Marine Corps. In September 2012, the MARCORSYSCOM placed a $67m follow-on order to supply more than 260 MTVRs for the US Marine Corps. The MTVR is available in nine variants including MK23 and MK25 Standard Cargo Truck, MK27 and MK28 Extended Cargo Truck, MK29 and MK30 Dump Truck, MK31 Tractor, MK36 Wrecker, MK37 HIMARS Resupply Vehicle, 4×4 Short Bed Cargo, 9-Ton Load Handling System 6×6, and 16.5-Ton Load Handling System 8×8. The MTVR features a welded all-aluminium cab mounted on a torsionally rigid channel section chassis frame. The conventional layout houses the engine at the front, crew cab in the middle and troop/cargo section in the rear. The crew cab accommodates three marines. The standard MTVR cargo variant has a length of 8.02m, width of 2.4m and a height of 3.5m. The curb weight of the basic cargo variant (MK23) is 12.6t. The MTVR can be integrated with Oshkosh TerraMax UGV technology for conducting unmanned operations. A fuel-efficient MTVR technology demonstrator is also being manufactured under the fuel-efficient MTVR programme. The new vehicle will be equipped with a fuel-efficient engine, advanced auxiliary power unit and electric propulsion systems. The new vehicles will bring down the ownership cost of MTVR by offering low fuel consumption and logistics savings. The crew cab and cargo compartment are equipped with an MTVR Armour System (MAS) to protect the crew from 7.62mm M80 ball rounds and 7.62mm Armour Piercing (AP) rounds. The mine protection kit can protect the occupants from mines and improvised explosive devices (IEDs). The bottom of the vehicle is provided with aluminium armour and rolled homogeneous armour (RHA) to withstand the impact of grenades and mortar rounds used as mines. The MTVR is powered by a Caterpillar C-13 six-cylinder diesel engine coupled to an Allison seven-speed automatic transmission and torque converter, and an Oshkosh single-speed transfer box. It provides a power output of 440hp. "The MTVR can be operated in the most extreme conditions ranging from -45°C to 2°C." The MTVR variants are equipped with Oshkosh TAK-4 independent coil-spring suspension, which provides superior mobility and allows each wheel to move independently on the uneven surfaces. The vehicle features anti-lock brakes with automatic traction control. The Central Tire Inflation System (CTIS) allows the driver to select tire inflation pressures according to vehicle payload and terrain type. The MTVR can be operated in the most extreme conditions ranging from -45°C to 2°C. The vehicle has a maximum speed of 105km/h and on-road cruising range of 483km. 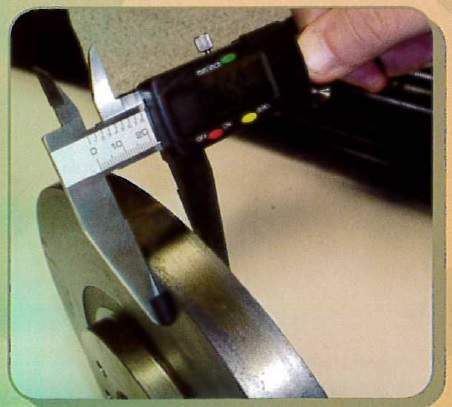 It can traverse a 60% gradient and 30% side slope with its maximum cross-country load. The vehicle can ford waters up to 1.5m deep. It can be internally transported by C-5, C-17 and C-130 Hercules transport aircraft. The MK23 cargo variant is airlifted under-slung by CH-53 helicopter. 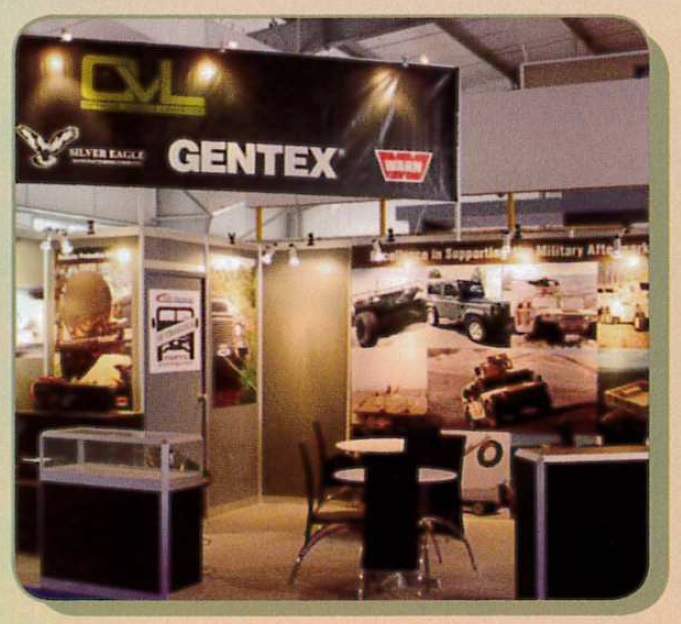 Valanx is a Family of Vehicles (FoV) being developed by the BAE Systems-led team for the Joint Light Tactical Vehicle (JLTV) programme of the US Army, USSOCOM and Marine Corps. The Sherpa 3 is a 4×4 all-terrain tactical vehicle developed for projection, intervention and logistic units. It is a member of the Sherpa family of trucks manufactured by Renault Trucks Defense. International Saratoga is a light tactical vehicle developed by Navistar Defense.